For a full range of gynecology procedures and tests, turn to Vinette Tummings, MD. Board certified by the American Board of Obstetrics and Gynecology, she and the staff at Century Medical and Dental Center in Brooklyn do everything they can to make you comfortable and deliver the best quality health care. Dr. Tummings has been practicing medicine since 2004. She received her Doctor of Medicine (MD) degree from the University of Michigan. 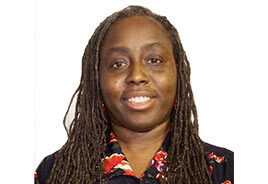 After that, she completed her fellowship residency from the Harlem Center Residency Program. Currently, she’s associated with the Woodhull Medical and Mental Health Center. She works for the Century Medical and Dental Center in Brooklyn, where she treats patients. Born in Spain, she moved to New York at a young age. She speaks English and limited Spanish. Make an appointment with Dr. Tummings for the best gynecological care.